Support Home Paya Virtual Terminal How do I send email confirmations to customers? How do I send email confirmations to my customers? The Transaction page of the Virtual Terminal has an optional Email field where you can enter the email address of your customer. There is also a Send Confirmation Email checkbox -- checked by default -- which can be used to disable confirmation emails on a case-by-case basis. If you do not see the Send Confirmation Email checkbox, it means email confirmations have been disabled in your Configuration menu. 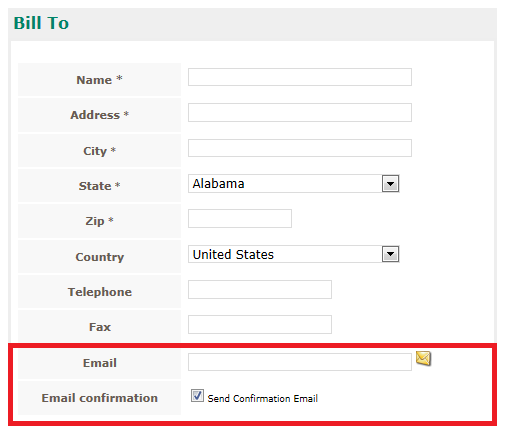 In this case, no confirmation email will be sent even if an email address is entered. The emails can be re-enabled from the Configuration > Email Notifications > General Email Settings menu option. Select Email Me to turn email confirmations back on for that payment method, and press Update to save your changes. The address entered in One-Time Transactions Email Address will be copied on all confirmation emails. If you do not want copies of order confirmation emails, but you do want your customers to receive them, leave Email Me checked and navigate to Configuration > Email Notifications > Credit Card Order Confirmation. Remove yourself from the CC: field and press Update Template to save your changes. 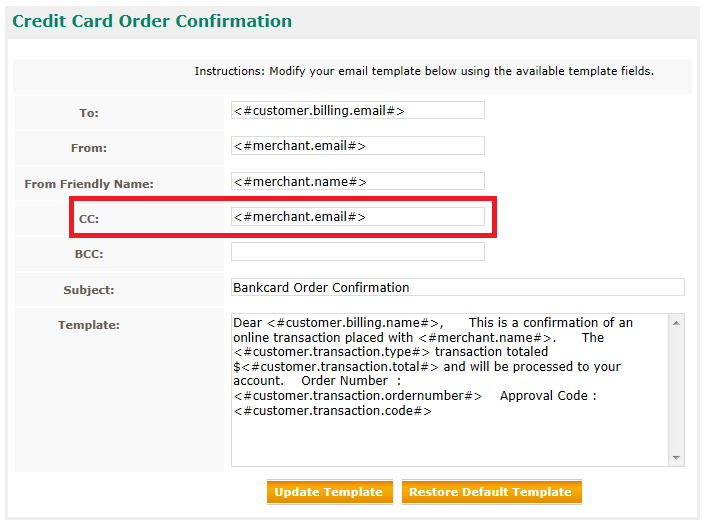 You can also use the Template section of this page to customize the email itself.